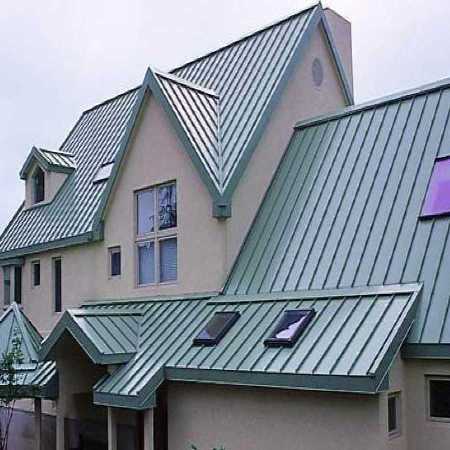 If you decide to put metal sheets on your roof, you have to take into account its characteristics in order to know its strengths and weaknesses, and so after discern whether or not the choice is correct. This post is intended for this purpose. The tin roofs are characterized by economic, quick and easy installation, good handling and durability of its materials, but you must properly follow the footsteps of its placement, besides knowing well its limitations, so that the room shelter does not end up flooded, “frozen” by the cold and/or “suffocated” by heat. Because tin roofs, if properly isolated, accumulating heat in summer and cold in winter inside the home. Therefore, the first premise if you decide to put tin on your roof is to thermally isolate the area on which will be placed the sheets. Continuing with the advantages, it is also remarkable durability, leaks, the versatility and adaptability of the sheet roofs, which, however, are accompanied by a number of drawbacks. But before detailing its disadvantages, adding that the most common sheets are those of zinc or galvanized, characterized mainly by its durability, its resistance to corrosion because of bad weather. What you have to consider are: overlaps, supports, drains, terminations and slope of the roof. Supports: You’ll have to put several sheets on the roof. Therefore, the maximum distance between supports of the sheets should be between 105-115 cm. In support we also use straps (there are different materials), to hold the sheets, either between walls or rooms of the house, for which we will install even beams. Overlaps: Inextricably linked to the slope of the roof. Overlaps between plate’s sheets will be a minimum of 30 cm if it can not cover the entire length (horizontal) with a roof (logical) thereby being the slope of between 15-20 cm per 100 cm. Overlaps can also be vertical. Drains: According to the shape of the sheet metal plates that you placed on your roof, rainwater will be channeled outwards or a gutter that will take the funnel to be drained. Having no gutter, you should place yourself to the free water does not fall outward. You can also make the water fall away from the house by “flying” roof, i.e., extending out, further separating roof. Terminations: These are the final sections of the plates, which either just outdoors, usual, or against a wall. The second termination shall be sealed with cement so-called: water repellent, it is waterproof and prevents rain water seeping and forming leaks into the interior of the home.